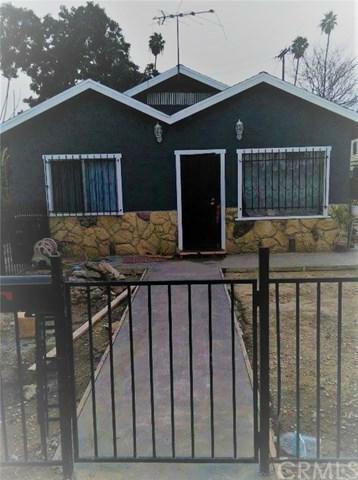 Excellent opportunity to own owner occupied or income property in the ever so growing area of Los Angeles with this Duplex: 244 - 246 W 66th St, Los Angeles. Affordable duplex. Large duplex front unit has 3 bedrooms / 1 bath, large utility room with laundry hook-up, laminate flooring, newly painted interior, large kitchen, large bathroom, back smaller unit currently occupied to be delivered vacant at closing. Back detached (separate building) unit has 2 bedrooms/1 baths two story (648 square feet of living area), live in one, rent the other, live in both...call for more information: JUST A FANTASTIC BUY!!! LOTS OF UPSIDE FOR BUYER. Call Now!